Every nonprofit is looking to raise money. This cancer center had a capital campaign with a goal to raise millions of dollars for a new facility. As one of our flagship healthcare PR case studies, they used BookWear® to tell their story, plus an appeal for donations. An image of their proposed building was on the “book” cover. 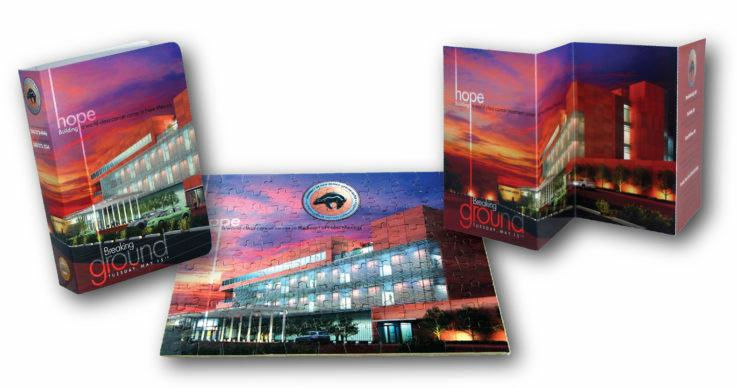 It was mailed like a thick postcard to 2,800 potential donors, inviting them to the groundbreaking. It was so successful at bringing people in that they placed rush orders for more “books” right through the end of the campaign. Inside was a puzzle of the building plus a tri-fold card that gave more information about their services and a map to the groundbreaking. They raised millions of dollars and gave a testimonial praising BookWear®’s effectiveness at getting people’s attention and bringing in donations. SUCCESS!! This building is complete and beautiful! Primary Care physicians need a way to connect with their community. They are the front lines of healthcare. This little book tells their message in a tangible way that drives attention to their website, driving traffic to their offices. All to “Get More Face Time”. 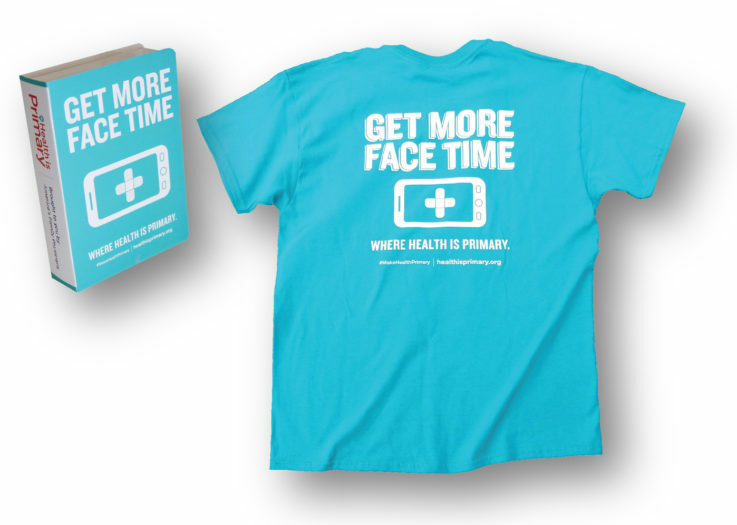 Although one of our most simple healthcare PR case studies, their shirt will be an effective tool years! A stopwatch was their gift inside, relating well to their rapid response. It also made for one of our favorite healthcare public relations case studies. A fold-out card inside further described their services. “The ‘Golden Hour’ is a brief window of time for getting an injured patient to a Trauma Center. Studies show that if advanced care is delivered within the first hour of injury, the chances of survival are dramatically increased.” They go on to talk of limited access of Florida residents to a hospital with this level of service.